Air conditioners are one of the biggest investments you’ll make in your Lawton, Oklahoma area home. If your HVAC system is 12 – 15 years old or is functioning less efficiently with each passing month, it may be time to replace it. Lawton area summers are notoriously hot and sticky, and they require a high-performance cooling system to keep everyone comfortable and productive. Comfort Solutions Heating and Air’s Bryant air conditioning units are built to withstand the intense heat commonplace during Oklahoma’s hot season. Has your HVAC system been giving you trouble? 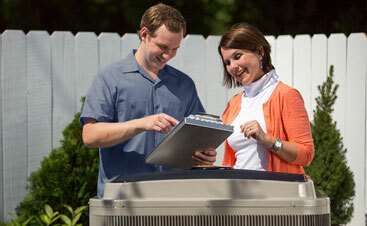 Are you calling for air conditioner repair more and more frequently? It’s time for a replacement! 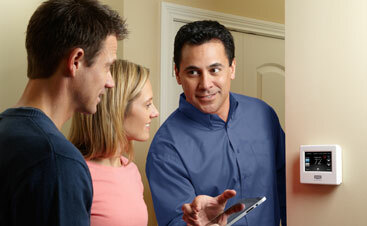 Schedule a consultation with one of our experts today, and see what Comfort Solutions Heating and Air can do for you! Your equipment needs frequent repairs. If you need to call Comfort Solutions Heating and Air for air conditioning repairs more and more often, you would save money and time by getting a replacement HVAC system. Your energy bills are going up. If your energy bills are going up but you’re using the same amount, your cooling equipment may have become less efficient. Your home has humidity problems. Poor cooling equipment operation, inadequate equipment, and leaky ductwork can cause the air to be too humid in the summer. Your home has excessive dust. Leaky ducts can pull particles and air from attics, crawl spaces, and basements and distribute them throughout your house. Sealing your ducts may be a solution. Your cooling system is noisy. You could have an undersized duct system or a problem with the indoor coil of your cooling equipment. Your score on the ENERGY STAR Home Energy Yardstick is below five. That means your energy use at home is above average and you’re probably paying more than you need to on energy bills. Comfort Solutions Heating and Air is confident that you’ll love your AC replacement; so confident, in fact, that we’ll refund your money if you aren’t fully satisfied! This 100% HAPPINESS OR YOUR MONEY-BACK GUARANTEE comes standard with every HVAC system! To ensure that we replace your old system with the best possible option for your house, our NATE-certified technicians conduct a thorough consultation and home comfort evaluation. 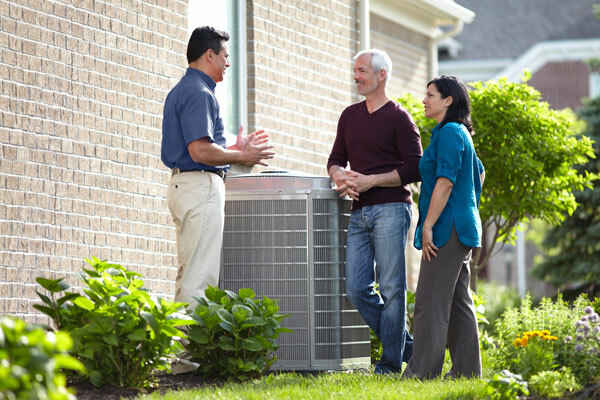 There are few things in life as enjoyable as coming home to a cool, comfortable home on a long, hot summer day—and our team wants to make sure you understand all of your options before you replace your existing AC system. If you live in the Lawton, Ok area, schedule a no-obligation FREE HOME PERFORMANCE EVALUATION installation estimate or speak with our staff about an upcoming HVAC project by dialing 580-609-4165 or requesting service online. We look forward to partnering with you in creating your ideal home climate!